A fellow chorister asked if I was making an invitation for the program and I had to stop and ask myself why would anyone need an invitation? It just never dawned on me to formally tell families the date and time of when their child would be presenting in Sacrament Meeting. Goes to show you I've never been in charge of a presentation before!! And I've just always known when it was going on for obvious reasons! You can download these documents HERE. I like to keep my designs for these kinds of items simple - a black and white line drawing - so it can be easily copied at the church library. And if you'll notice, it's the exact same look as the CD cover I created HERE and the program HERE - all nice and uniform! 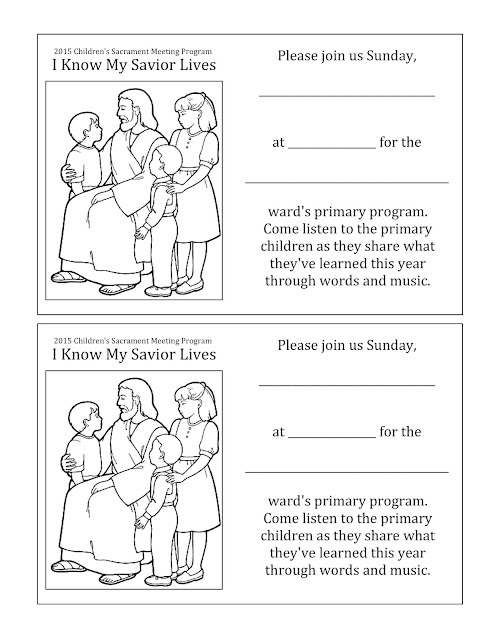 In addition to using them for the families in your ward, my kids like to invite their non member people--teachers and coaches, etc. What better Sunday to have investigators there! I was about to say the same thing as Amy. 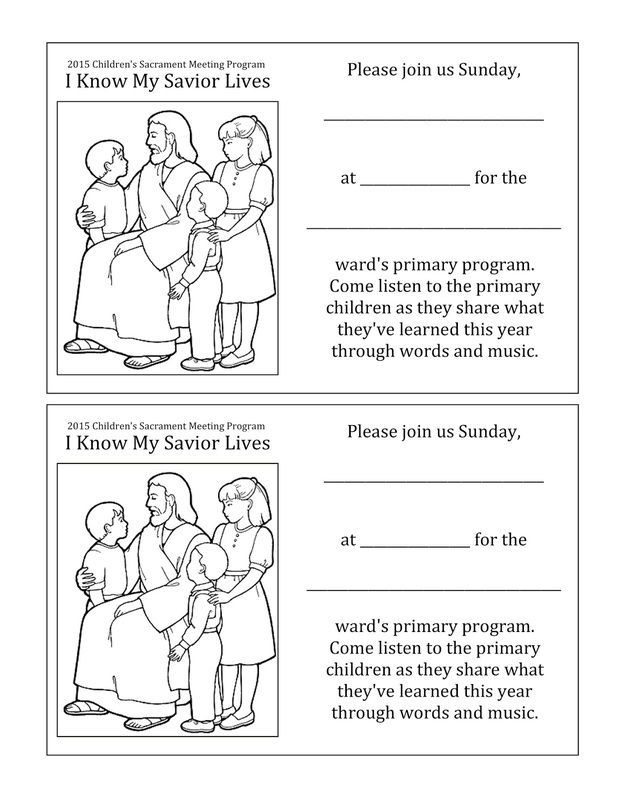 We invite neighbors, teachers, friends, etc. The families mostly already know! We're having our Primary make the invitations during the run-through. (I got the idea after reading your post about coloring the paper programs.) The adults put the information on the front and the kids color or write something on the other side and they can give them to someone they want to hear their testimony. 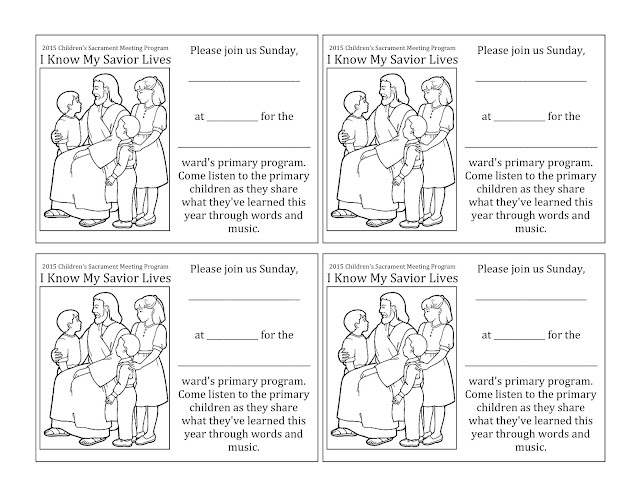 Some kids will give them to Mom or Dad, some to a friend at school, and there will probably be a set of older boys who exchange invitations.